Feb '19 Check out the latest news from one of our partners, Healthy Life. Ice cream that's healthy AND tasty - what's not to love about that! This summer we pay tribute to one of your childhood faves! Jan '19 Rekindle your summer vibe with this taste sensation. 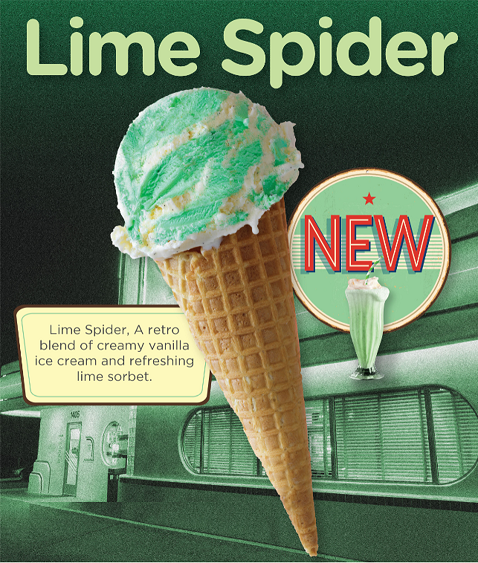 Bright colours and a twist of vanilla ice cream and lime sorbet will have kids big and small lining up for a second scoop. So what are you waiting for? Call us and order today! Summer and ice cream sales await. Dec '18 Last week we celebrated our big 60 - That’s right, we’ve been scoopin’ since 1958. Now, you can’t let a big birthday go by without marking the occasion and we celebrated in style by hosting a party for all our staff at our Reservoir factory. The Age also swung by for a slice of cake (ice cream cake - of course) and to chat to some of our incredible staff that have been part of our rich 60 year history. Little Tub - Big Smiles! Introducing the NEW 500ml Everest range. Oct '18 Good things do come in small packages and now your favourite Everest ice cream and sorbet flavours are available in 500ml tubs. Whether you want to offer your customers a scoop now and a scoop for later or perhaps you’re after a takeaway dessert offer for you café – these little tubs will do the trick. Click here to visit our 500ml page. Sept '18 This September we were at the Fine Foods show in Melbourne where we proudly showcased our new look Everest. Check out our video.